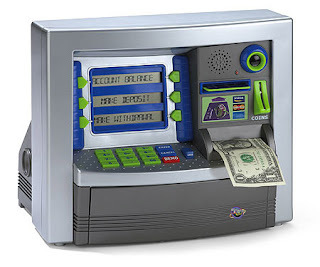 Be careful when any strangers offer to help you at an ATM, even if your card is block by machine or you are experiencing difficulty with the transaction. Check your surrounding any other person in the queue keep an acceptable distance from you. Stand very close to the ATM and shield the keypad with your hand when keying in your PIN code otherwise any other person can guess your number. Press the Cancel key on keyboard when you find the ATM is not working properly and withdraw your card. Avoid force your card into the card slot. Always keep your printed transaction record so that you can compare your ATM receipts to your monthly statement. If your card jammed in ATM, report this immediately to the bank.